We attended a relative's celebration in one of the hot spring resorts in Calamba, Laguna. Going home, we decided to take the back door to Rizal and have a joy ride. It was Palm Sunday and the church in this sleepy town looked more beautiful as ever. I have only seen it in pictures and it was my first time to actually step in and admire its beautiful baroque architechture. 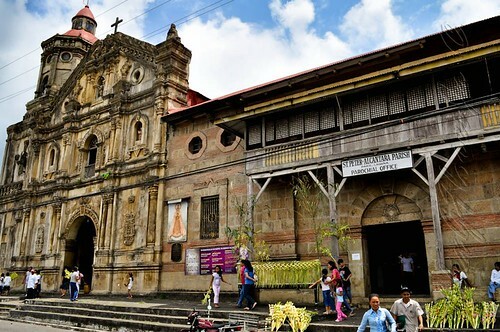 The church of San Pedro de Alcantara is a famous landmark of the town of Pakil in Laguna. It was founded by the Franciscan priests in in the 17th century with the construction done from 1732 to 1767. 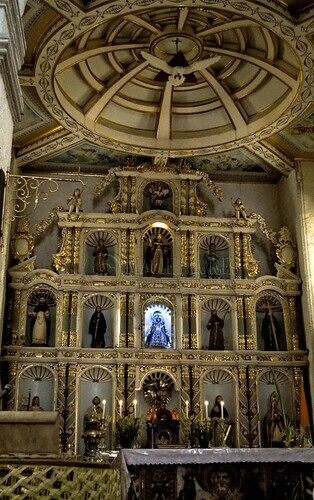 It also serves as the home of the town's patron, the Nuestra Señora de los Dolores de Turumba (Our Lady of Turumba,) which was enshrined in the church in 1788. The Turumba Festival is a celebration in honor of the Our Lady of Turumba and it is held during different dates from March to September. This year, the Turumba Festival kicked off with the Viernes de Dolores on March 26 and will cap off with the Domingo de Dolores on September 12. 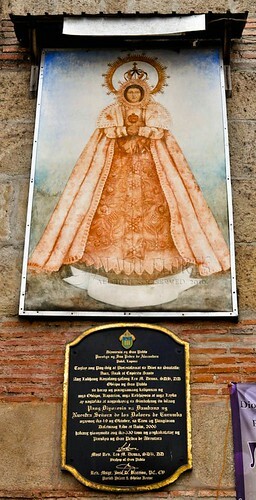 San Pedro de Alcantara Church is found in Pakil, Laguna. To go there, you can drive along the Ortigas Avenue and Manila East Road route passing through the towns of Rizal and the nearby towns of Mabitac, Famy, and Sinolan, Laguna. The other option is to take the South Luzon Expressway, driving along the route to Santa Cruz and Pagsanjan, Laguna. From Pagsanjan, you will pass the towns of Lumban, Kalayaan, and Paete before reaching Pakil. Via commute, you can take a bus to Santa Cruz, Laguna or a jeep to Siniloan (terminal is the EDSA Central). From these towns, you can ride another jeep to Pakil.